How Things Get Done in Cities and Why Is There Room for More Democracy? What lies behind these kinds of decisions in cities? Who makes them, and why? Many SSA faculty are interested in these questions and seek to understand how efforts to govern cities might better enact the democratic ideal: that when cities make decisions that affect all of their residents, everyone should have an equal voice and an equal say in what those decisions are. Cities are inhabited by diverse groups of people with different interests and beliefs about how to address countless urban issues, such as creating jobs, improving schools, ensuring safe neighborhoods, promoting environmental sustainability, and taking care of the vulnerable. Many groups and organizations have an interest in the outcomes of these processes, and some take action to try to shape them to their own advantage. At the same time, groups for whom these decisions have the biggest impact—people who are poor or recently immigrated, for example—often have few chances to make themselves heard. 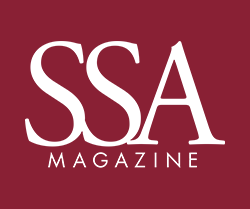 Scholars at SSA have a deep interest in improving opportunities for diverse and sometimes competing constituencies to see their interests reflected in how their cities are run. Democratic societies claim to do just that, but we often see the promise of democracy fall short. How can our approach to governing cities promote greater access for more people, greater transparency and legitimacy of process, and greater equity in the distribution of influence? In short, how can we enhance the practice and outcomes of urban democracy? Many Americans associate city politics with corruption—the intrusion of “special interests” into otherwise neutral decision-making. Yet politics is always about power, voice, and interests. The reality is that urban stakeholders who have more resources are often much better represented than others. What about people who are poor, who face severe housing or transportation issues, who lack legal standing or who struggle with complex health needs? How can they speak? Who speaks on their behalf? SSA Associate Professor Jennifer Mosley addresses those questions in her research on how human service and communitybased nonprofits advocate for policies on behalf of the marginalized communities they serve. She finds a sector that is deeply involved in city and state politics, but where advocacy more often takes the form of securing public funding allocations, rather than demanding transformative social change. Furthermore, Mosley argues that nonprofit leaders, whom we expect to be the most fervent advocates of client needs, generally operate at arm’s length from those clients, relying instead on their own expertise when advocating for particular policies. Her research underlines how important it is for nonprofit managers to guard against their natural tendency to spend advocacy energy on policy solutions that benefit their organizations’ bottom line, rather than improving services to clients. Research by Assistant Professor Angela S. García explores the innovative ways that undocumented immigrants—who live in and contribute to cities, but cannot represent themselves in traditional ways such as voting—exercise their voice. They contact elected officials and attend public meetings; they encourage documented family members and friends to exert influence on their behalf; and they become involved in public protest. García’s work shows how these various forms of engagement and participation allow undocumented immigrants to pursue their own interests—and suggests the promise of these strategies for other marginalized groups as well. Coalition building is a basic skill of democratic practice: find common interests across different groups and work together to push for joint goals. Labor unions have long been important advocates for urban residents, including those who are not union members themselves. Associate Professor William Sites has shown how union campaigns for wage gains and better working conditions have found common ground with activist organizations seeking economic justice for their communities. In Chicago, these labor-community coalitions have advanced the interests of union members, low-wage workers, and marginalized community residents alike. Sites reminds us, though, that such alliances can be fragile. Coalitions fall apart over disagreements among labor and community partners, and politicians and other powerful actors often fan the flames of these divisions. Leaders of community and social justice movements must be ever vigilant of efforts to undermine their alliances, and redouble their efforts to align labor and community interests. These scholars’ work challenges the narrative that marginalized groups are excluded from city politics. They show the different ways that these groups and their advocates can develop more-than-marginal voices, opening the door to forms of interest representation, and even influence, that force governing institutions to respond. Yet political participation by itself rarely becomes a panacea, as existing structures of urban power work to reproduce the status quo. Each year in cities across the nation, different levels of government spend more than a trillion dollars in combined funds to support hundreds of thousands of local human service providers. How do cities make decisions? We teach our children that citizens have a certain decision-making power: they elect city council members and mayors, and then those people make the real decisions according to the “will of the people.” By the time we are adults, most people have figured out things can be quite a bit more complicated. In reality, cities are filled with competing groups. Elected officials experience pressures beyond voter expectations, and privatization and outsourcing mean that many decisions are made by people who are not part of government at all. At SSA we try to understand how decisions are really made, what that means for those whose interests are represented, and how residents are impacted. Robert Chaskin, Professor and Deputy Dean of Strategic Initiatives, who now holds a UNESCO Chair on Inclusive Urbanism, and Associate Professors Jennifer Mosley and Nicole P. Marwell all look at how urban decisions result from give-and-take among governmental agencies and many other groups, such as business firms, nonprofit organizations, foundations, think tanks, labor unions, and community advocates. Sometimes these groups collaborate on a common agenda; at other times there is heated conflict among them. Chaskin reaffirms the messy work of how social policy gets made: it is often a mish-mash of theoretical ideas, empirical evidence, value propositions, and ideological commitments. Studying contemporary housing policy, Chaskin demonstrates the many ways that expectations for policy success do not match up to reality. For example, federal policymakers’ decision to tear down public housing towers in many cities and replace them with lower-density, mixed-income housing was driven by theory and empirical evidence about the problems caused by concentrated urban poverty, and ideas about how income mixing might address them. In Chicago, however, Chaskin found that expectations that middle-class residents of these new developments would provide positive social role models and access to opportunity for their poor neighbors did not come to pass. Instead, the two groups had little social interaction, and what interaction there was bred contention. Stereotypes about public housing residents, disagreements about who should be allowed to use public space and how, and housing rules and penalties that largely targeted the poorest residents increased these tensions. By identifying these and other instances in which policy decisions to address concentrated poverty failed to deliver on their promises, Chaskin advocates thinking beyond these approaches and toward other promising solutions. These include more supports for public housing residents to succeed, greater emphasis on community organization and amenities open to all, and more meaningfully bringing other actors—such as public housing residents, community groups, and tenant activists—into the decision-making process. Similar questions animate Mosley’s recent work, which focuses on a seemingly intractable problem: homelessness. To devise communitywide solutions to such challenges, governments increasingly call on private stakeholders such as businesses and human service organizations for expertise, advice, and new ideas. Often brought together in task forces or advisory groups, these diverse parties must find ways to work together, share knowledge, engage in mutual learning, and reach decisions around shared goals. Mosley’s recent research looks deeply into one such process—the formation of Continuum of Care networks for homeless services—that is underway across the U.S. Comparing urban and rural regions, Mosley finds that nonprofit managers have real power to shift the advocacy discussion: public administrators depend on the expertise and legitimacy of nonprofit partners, and can be open to their arguments for policy change. She argues that if social workers and nonprofit managers can advocate policy change that will also make their client services more effective, then more transformative advocacy becomes part and parcel of successful organizational management. Solving social problems costs money, of course, but it also requires information. Marwell is developing an analytic tool to enable government officials, nonprofit human service providers, and other stakeholders in a city to have access to a common base of evidence on public spending for human services. Each year in cities across the nation, different levels of government spend more than a trillion dollars in combined funds to support hundreds of thousands of local human service providers. It is surprisingly difficult, however, to know precisely where, within a given city, this money is actually making services available. Marwell’s project is creating open-source data applications so that cities can develop big-picture views of spending in each of their jurisdictions—and inform public debates over how better to distribute these funds. This scholarship is providing new insights into what shapes urban decision-making and how we might improve it. As publicprivate relationships and new technologies alter the ways that cities operate, SSA faculty are assessing the conditions for making decisions along with the implications of those choices for partnerships, networks, and how resources are shared. When public officials reach out to certain groups, greater inclusion for some can spell exclusion for others. Urban democracy, ideally, encourages inclusion for all, fostering participation, fairness, and political equality across the city. But in practice, “rule by the people” sometimes has a dark side. When public officials reach out to certain groups, greater inclusion for some can spell exclusion for others. Democratic processes can offer the opportunity to be heard, or deliver stigma and persecution. They can provide important resources to disadvantaged groups, but also substitute symbolic gains for real ones. Even inclusion can become a trap, slotting groups into subordinate positions or discouraging them from advancing ambitious demands for fear of losing their place at the table. How do these dynamics of inclusion and exclusion operate, and what consequences do they have on the ground? Research by Sites on Chicago examines how government officials manage the political pressures generated by community-based movements for social justice. When certain officials perceive economic demands by disadvantaged groups as threats to their political control, they manipulate the city’s democratic processes and even play on racial divisions in order to weaken community coalitions. When demands seem unstoppable, however—like the recent fights in Chicago and other cities for a higher minimum wage—officials sometimes publicly embrace them, drawing in new political supporters even while substituting small concessions for large ones. 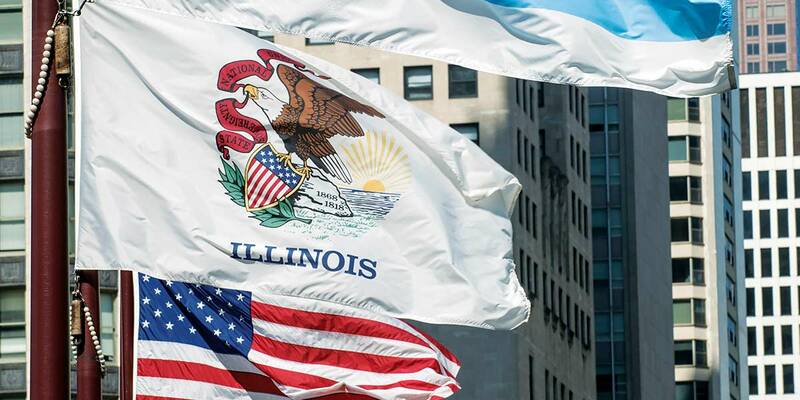 Today’s Chicago politics are different from the old “machine,” but vestiges of that system have been adapted to manage current movementbased challenges. Sites urges us to stay focused on these agile processes that continually raise new barriers to full inclusion. García’s research on undocumented immigrants shows the unexpected powers of cities to either integrate undocumented residents into the local community or relegate them to the margins. Observers have long assumed that federal immigration policy sets uniform conditions for undocumented immigrants across the country. But García shows that undocumented immigrants in fact face widely different local conditions, where cities choose either to buffer or strengthen federal immigration enforcement efforts. Some cities follow policies that promote a sense of stability and security among undocumented residents and their families, facilitate their civic engagement in a range of local issues, and enhance collaboration between undocumented residents and the police. In contrast, unwelcoming cities increase uncertainty and anxiety among undocumented residents and their families, negatively shape the life chances and future prospects of undocumented residents, and damage collaboration between undocumented residents and the police. García’s work encourages city officials to think carefully about the larger community implications of their approach to undocumented immigrants. Scholars at SSA study the dynamics of inclusion and exclusion with an eye towards improving the real-world practices of urban democracy. This research generates insight into political processes that are fundamental to the workings of our cities, while offering an array of implications for city officials and nonprofit organizations as well as important urban actors who are closer to the ground—lowwage workers, public housing residents, homeless persons, and undocumented immigrants alike.